Earlier this month we featured some fun hats for our littlest men to protect them from the sun. Today we want to feature some of the fun ways to protect your older boys from the sun. My older boys love to look stylish, but they still want things to be simple and straight-forward for them. So Appaman is great because they know fun and they know function. 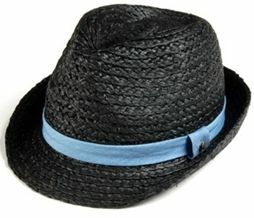 Boys Summer Fedora Hat by Appaman: This black straw hat shades the head and face, it features a bright blue contrasting band for added color and flair. It is perfect for a day at the pool, or at the beach, or simply to cover that head when running from playground to home. Boys Pork Pie Hat By Appaman: This black pork pie hat features and red and white checkered contrasting band for flair. It is stylish, fun, and functional for a full summer outdoors. 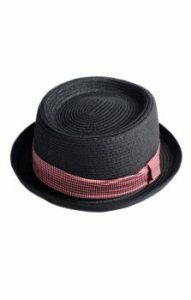 This entry was posted in Accessories and tagged Appaman, fedoras, hat, Hats, hats for boys, older boys, pork pie hat, style, summer hats, sun hat, the boys store on June 16, 2018 by Lacy.